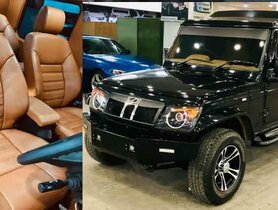 Recently, a video which showcases a modified Mahindra Scorpio by NYC Custom has gone viral. Thanks to the modification job, the Scorpio looks even more aggressive and muscular. The Mahindra Scorpio is one of the top-selling seven-seater small SUVs in India. The SUV has been selling like hot cakes since it was first launched in 2002, which is thanks to its robust appearance, excellent off-road capabilities with a 4WD system and a competitive price. Being already a good-looking SUV with a bold stance and a daunting appearance, a set of modifications by NYC Customs have turned a Mahindra Scorpio into an aggressive monster. 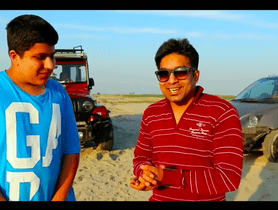 Let’s have a look at a video that clearly showcases the modified Mahindra Scorpio in question. Also read - Chevrolet Spark Vs Mahindra Thar: Which One Is The Better Off-Roader? The Mahindra Scorpio in the video is a 2006 model and it has got a black paint scheme all over its body. 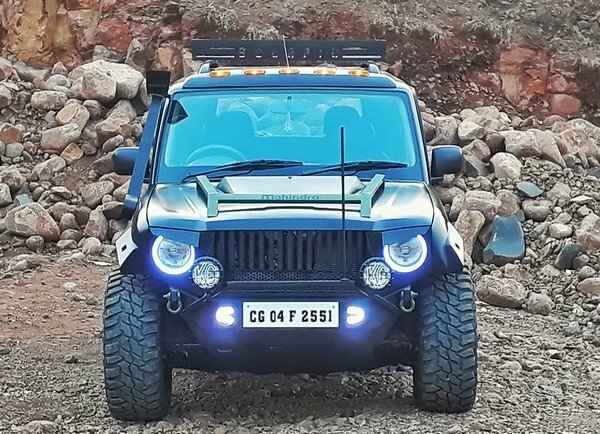 It has an intimidating front with an off-road spec bumper which is integrated with LED DRLS. The twin auxiliary lights are mounted on top of the bumper. The headlights are now surrounded by LED rings; the bonnet comes with a fashionable metal frame with a pump. A wide vertical-slat metal grille which has been blackened has also been added to the front to contribute to the appeal of the vehicle. All of these features contribute to the aggressive look of the vehicle. The front of the Mahindra Scorpio has been thoroughly customized to give it a muscular look. The fenders have also been altered to add to the muscular look of the SUV, while orange lights are mounted to the roof along with a carrier to serve the purpose of goods carrying. 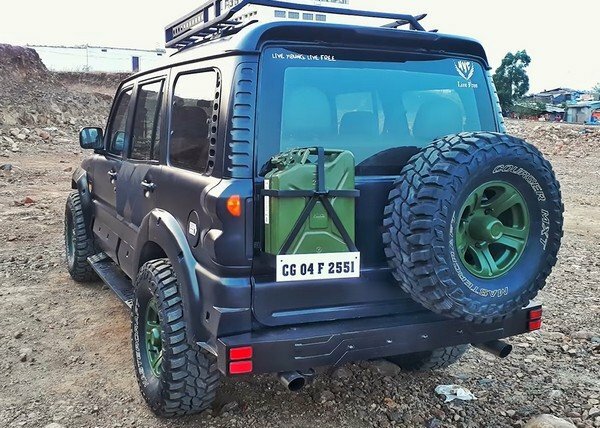 The modified Mahindra Scorpio runs on a set of 33-inch off-road spec tyres draped around multi-spoke alloy wheels. A snorkel has been equipped on the vehicle to enhance the vehicle’s water-wading capabilities. The side cladding has also been thoroughly customized and plays a great role in giving the SUV a muscular look. Numerous alterations have also been made to the side profile. At the rear, the most outstanding off-road feature of the modified vehicle is the green jerry can. 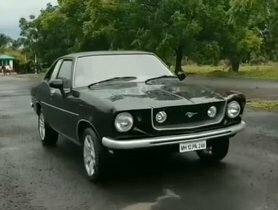 The tail lamps have been blackened while the regular bumper has been substituted with a custom one. 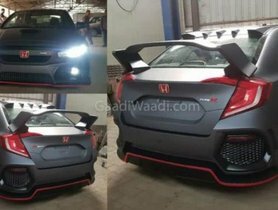 Finally yet importantly, the twin tailpipes have also been added to the rear of the customized SUV to help the vehicle's posterior easily get noticed in the darl. Overall, while the modifications are limited to aesthetical factors only, this is among the best off-road mod jobs that have been ever done to the popular SUV. 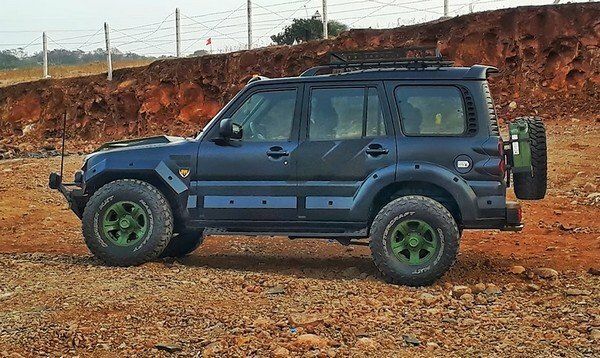 What do you think about this modified Mahindra Scorpio and which is the custom feature that impresses you the most? Please share with us in the comment section below. Chevrolet Spark Vs Mahindra Thar: Which One Is The Better Off-Roader? 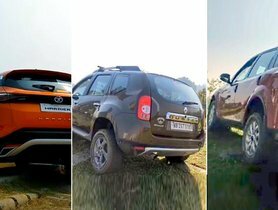 Tata Harrier Vs Mahindra XUV500 Vs Renault Duster: Which One Is The Best Off-Roader?